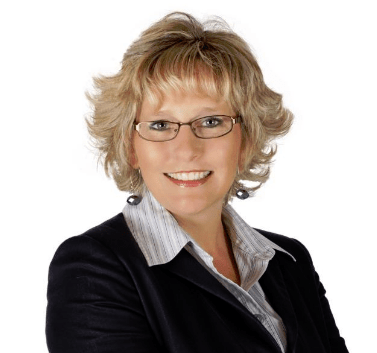 Kent, Washington, January 17, 2012 – For the second year in a row, Seattle magazine names Kent Realtor® Marti Reeder of John L. Scott a Five Star Professional Real Estate Agent. Only real estate agents rated highest in overall satisfaction were selected. Winning this award puts Reeder in a select group of Seattle Five Star Real Estate Agents, representing fewer than 6% of real estate agents in the area. To determine the winners of the 2011 Five Star Professional Real Estate Agents awards, Five Star Professional surveyed Seattle residents who purchased a home over $150,000 within an 18-month period (Aug. 2009 – Feb. 2011), 1,000 subscribers of Seattle magazine and 250 mortgage and title company representatives. Top agents were also screened to ensure that their licenses are current and that there is no disciplinary action pending against them. Only those with the top scores were awarded the title Five Star Real Estate Agent in Overall Satisfaction, including Reeder, a full-time broker/real estate agent with John L. Scott in Kent and Covington. In addition to this prestigious award, Reeder has received President’s Awards from John L. Scott every year since 2007, has won top producer and top resale awards at John L. Scott in 2011, and was voted “Best of Kent” Realtor® by readers of the Kent Reporter three years in a row. In July 2010, Reeder was nominated for the Business Examiner’s “Women of Influence.” With more than 25 years of industry experience, she has earned the following professional designations: Certified Residential Specialist (CRS), Accredited Buyer’s Representative (ABR) and Accredited Seller’s Representative (ASR). She is also an Accredited Staging Professional and a Certified Pre-Foreclosure Specialist. As a lifelong resident of King County, Reeder is a full-time, full-service real estate broker. She has a wide range of experience in mortgages, home inspections and real estate. Starting her real estate career with John L. Scott over seven years ago, Reeder specializes in working with individuals and families to buy and sell their homes throughout the Seattle area. In 2011, she helped more than 30 families sell or buy new homes.